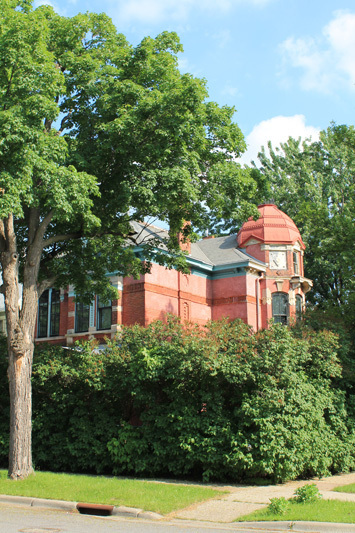 Located one block south and one block east from the Minea House is the Edward and Elizabeth Heimbach House at 64 West Delos. 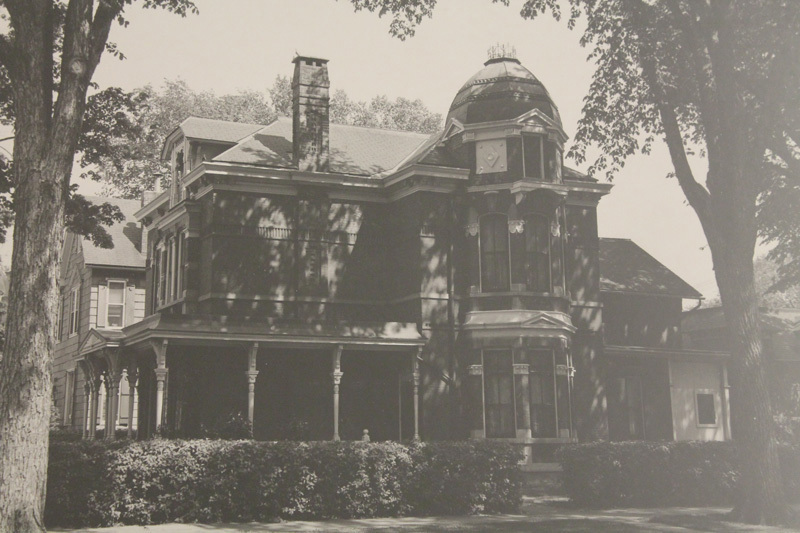 Martin Brueggemann (see John and Mary Minea House) also built this one for his daughter Elizabeth upon her marriage to Mr. Heimbach. The couple’s fathers hoped that the marriage would cement a long commercial alliance. Gottfried Heimbach, another German immigrant, ran a West Side saloon sufficiently profitable to finance his big house at 76 Prospect Terrace (two houses west of the Durkee House, above.) Edward and John Bruggeman, Elizabeth’s brother, were great friends -- enough so to persuade Gottfriend to switch his beer business from Yoerg’s to Bruggeman’s. But things went sour and then litigious. Edward apparently forged Martin Bruggeman’s name on a $4000 note to Germania Bank. To avoid scandal -- and maybe to keep his son-in-law out of prison -- Bruggeman paid the note but also demanded a mortgage in that amount against Gottfried Heimbach’s homestead. There was a foreclosure and bitter lawsuit that resulted in a complete Bruggeman victory. There must have been some tense family gatherings in the mid-1890s. Despite the foreclosure, the elder Heimbachs stayed in their house for years after, so some accommodation must have been made. Edward and Elizabeth for their part quickly moved to a smaller house near Grand and Lexington, far, far from the Upper West Side. The West Delos house still carries their name, just the same. 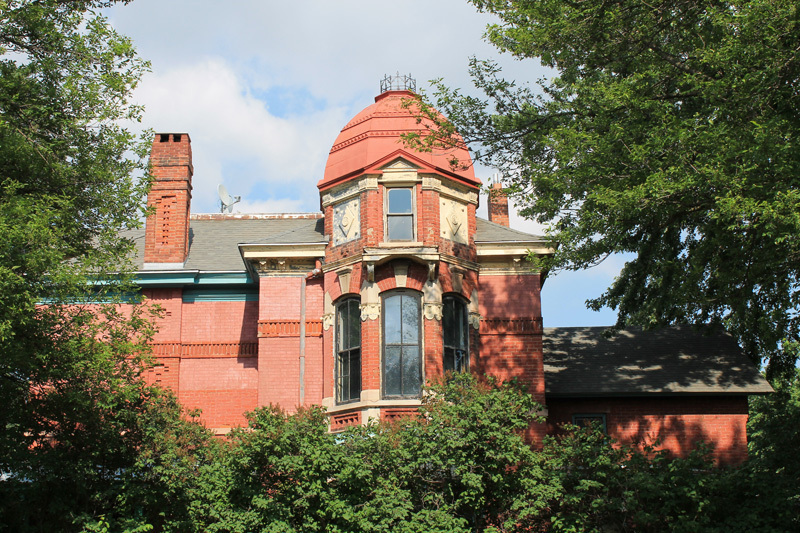 Architectural historian Larry Millet calls it “a Victorian Grab bag, mixing Italianate, Eastlake, and Queen Anne with fearless flair.” Queen Anne was a style popular from 1880-1910 and characterized by steep roofs and turrets; it succeeded French Empire as a nineteenth century vogue. 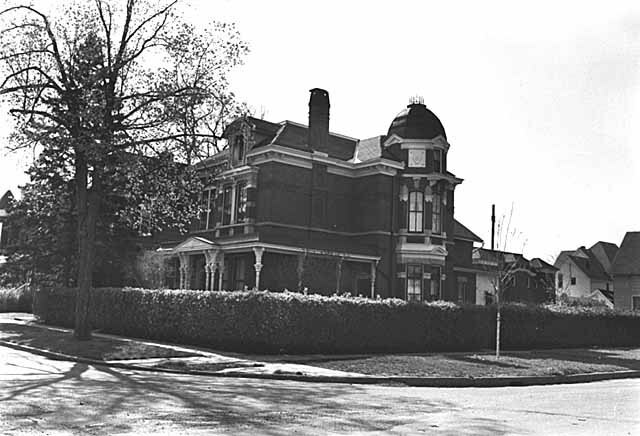 Eastlake was a decorative sub-genre of Queen Anne. And Italianate was another 19th century style that featured squared off patterns in imitation of buildings of Renaissance Italy. 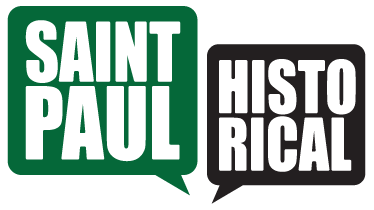 Paul Nelson, “Edward and Elizabeth Heimbach House,” Saint Paul Historical, accessed April 18, 2019, https://saintpaulhistorical.com/items/show/135. To learn more about the historic photographs displayed in this story, visit the Minnesota Historical Society’s Collections Online For more on the architecture of Minneaplis and Saint Paul, see Larry Millett's AIA Guide to the Twin Cities: The Essential Source of the Architecture of Minneapolis and St. Paul.